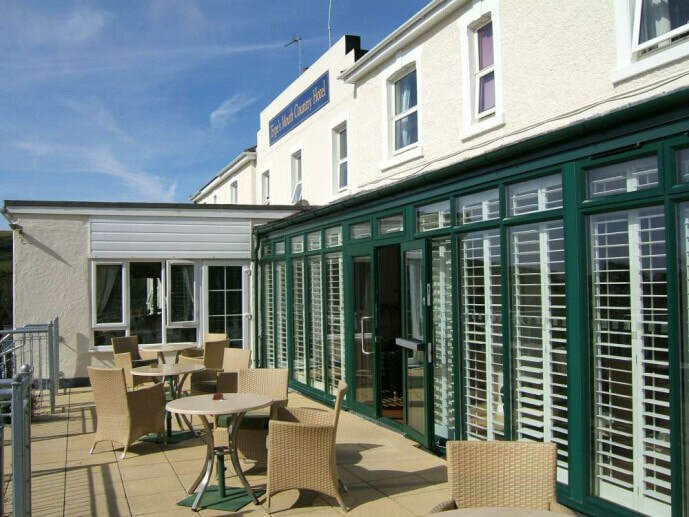 The owner of this hotel, located on the Jurassic Coast, wanted to improve the existing facilities by extending two bar areas, at the upper and lower ground floors, and creating a new terrace. 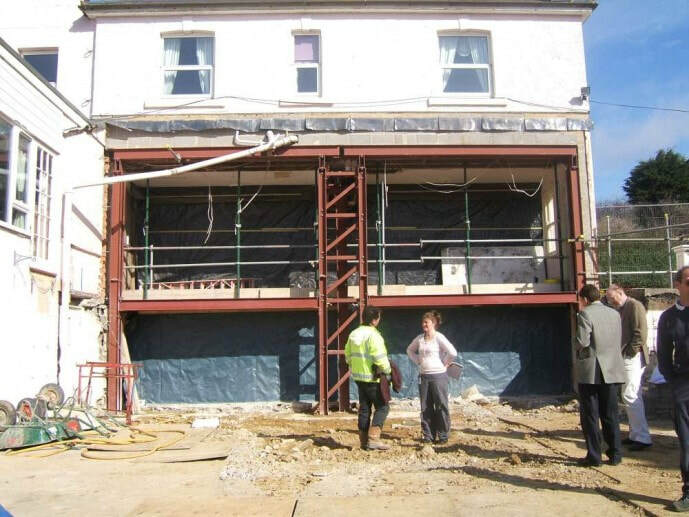 This was a complex project requiring the removal of a substantial part of the rear wall of the hotel, two storeys in height, whilst keeping the hotel open. 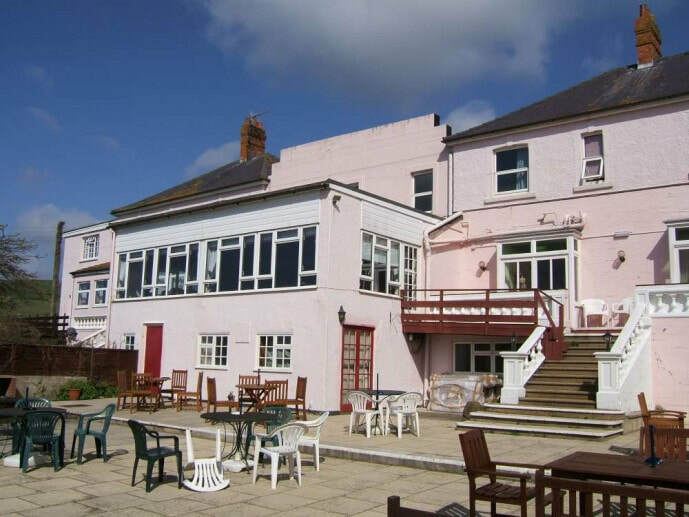 The upper terrace is very popular in the summer. 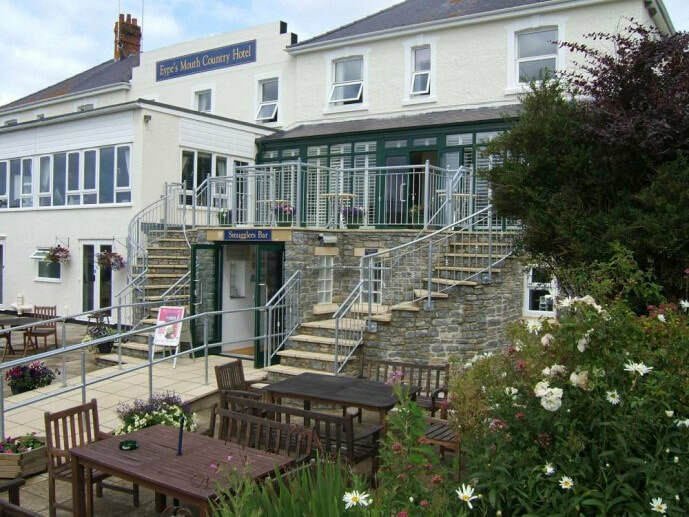 Two curved stairs lead from this to the lower terrace.